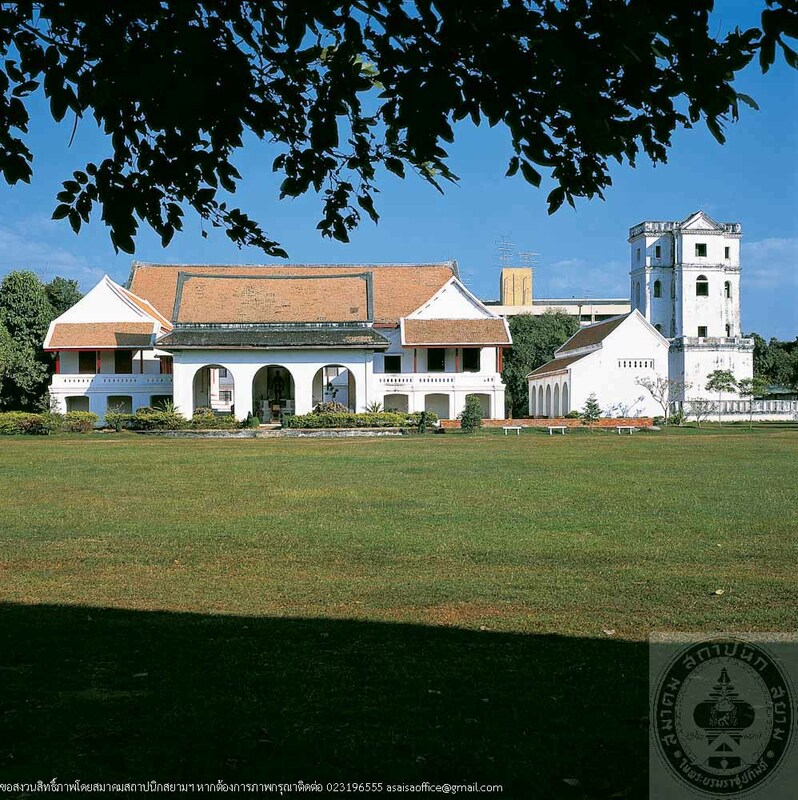 Chantarakasem Palace was originally established circa 1577 AD., King Maha Thammaracha of Ayutthaya period as a residence for King Naresuan the Great when he was the Crown Prince. 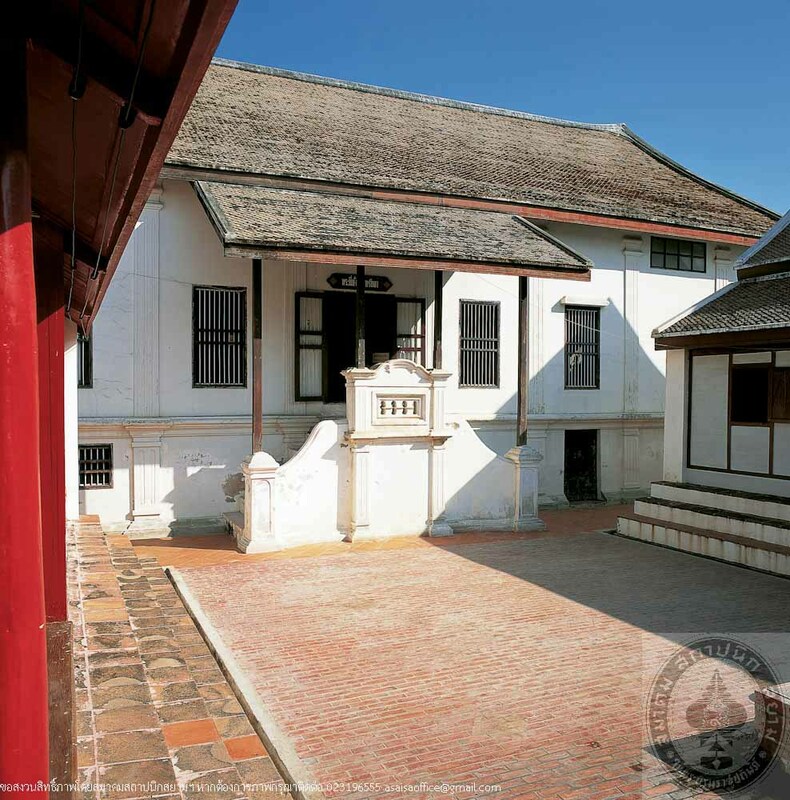 After Ayutthaya was defeated by the Burmese in 1767, the palace was deserted until King Rama IV of Rattanakosin period had the palace reconstructed and new building built to be used as his accommodation during his visits to Ayutthaya. The buildings built in that period are the palace walls, Phra Tho Nang Phiman Rataya group, Phra Thi Nang Phisaisallak, and Phlabphla Chaturamuk. 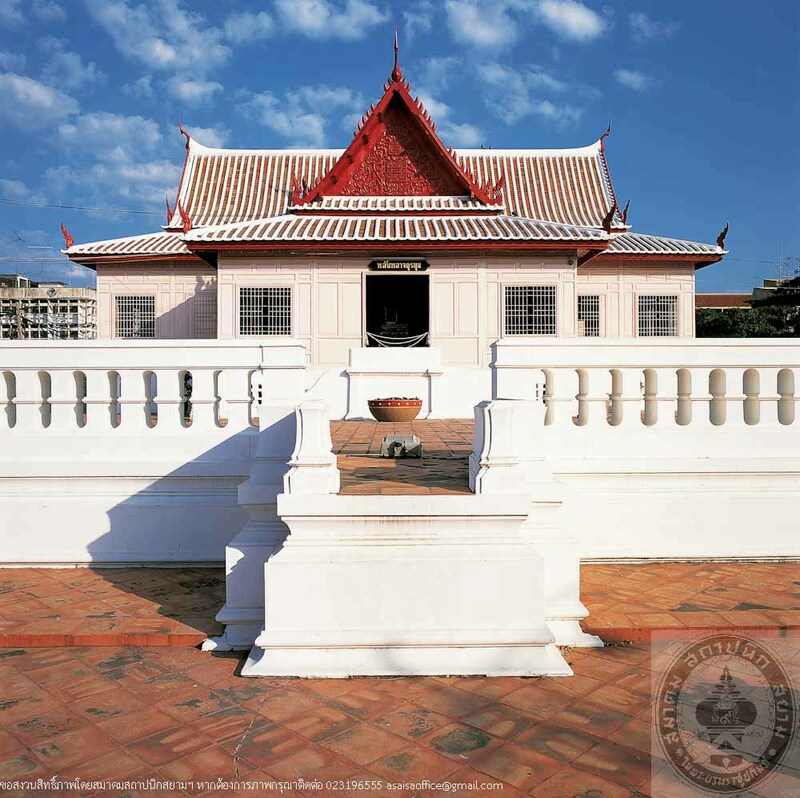 Phra Thi Nang Phiman Rataya is a group of four building that was the King Rama IV’s residential quarter. King Rama V had the office of Monthol Krung Kao situated here 1899. 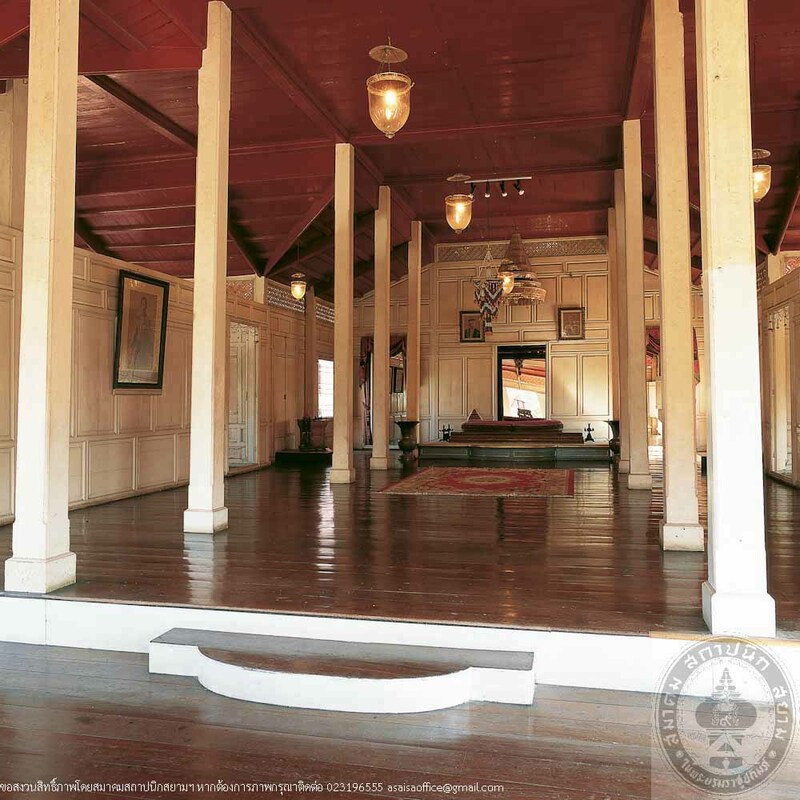 Phlabphla Chaturamuk (Four-porched Pavilion) is a wooden structure built on an ancient remains of brick masonry base. By actual physical feature, this pavilion is 6-porched comprises 3 porches in the front and 3 in the back. 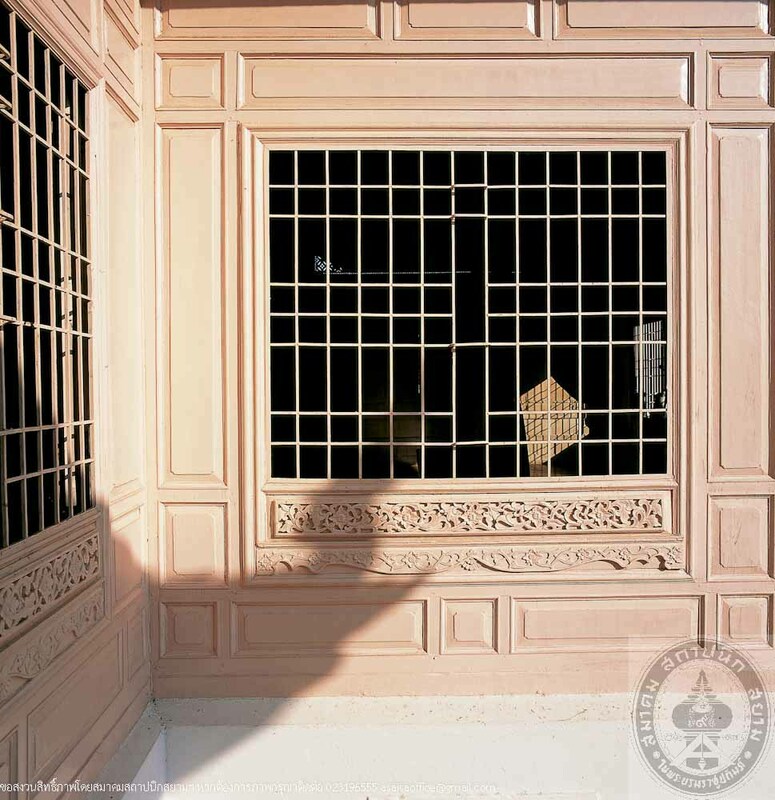 It is believed that designer was Phraya Ratchasongkram (That Hongsakul). This pavilion functioned as the Throne Hall. Phra Thi Nang Phisaisallak is a 4-storey tower height 22 metres, situated on the southwestern side of Chantarakasem Palace compound. Its architecture is Thai sty;e with Western and Chinese influences, presumably designed by Krommakhun Ratchasihawikrom (Prince jumsai). Its originals function was for stargazing. 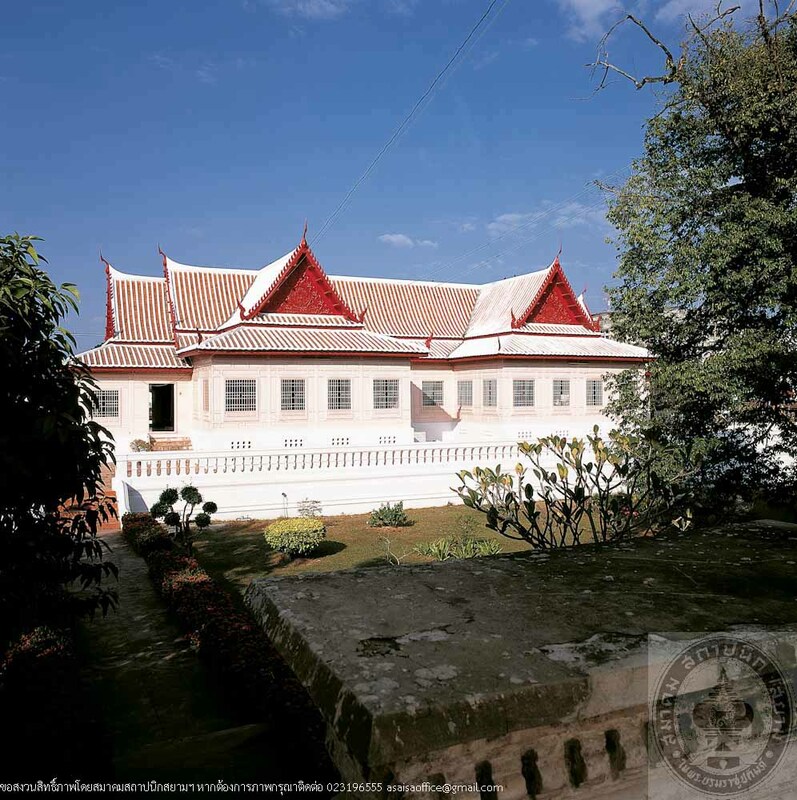 In King Rama V’s reign, Somdet Krommaphraya Damrongrajanubhab has advised Phraya Boranratchathanin, the Governor of Ayutthaya, to establish a museum at Chantarakasem National Museum, where a large number or significant ancient objects and are kept and exhibited. 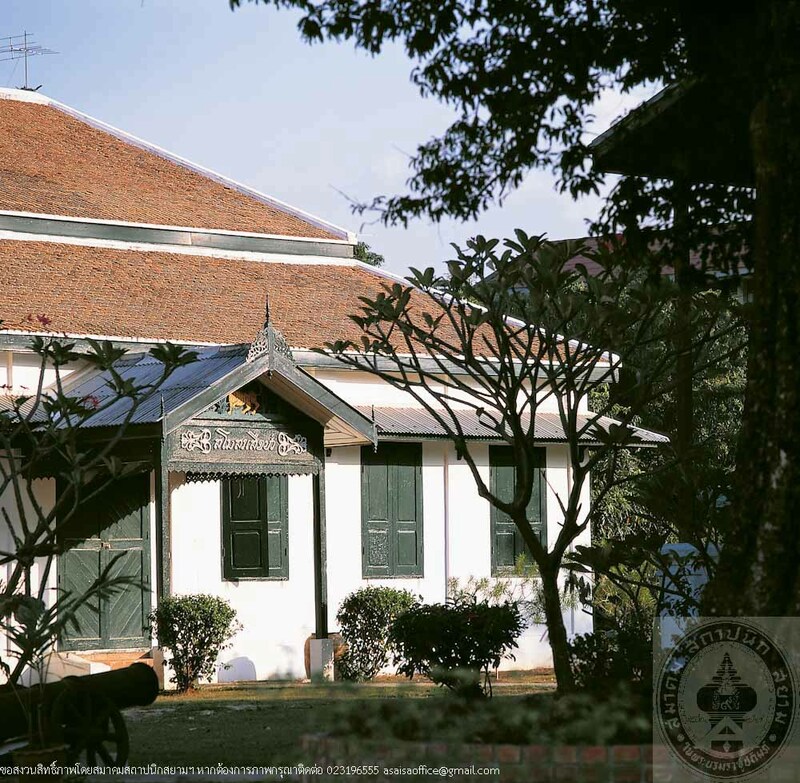 Later, King Rama VI’s reign, Samoson Sua Pa (Scouts club) was added to the compound. The building is simple, one-story, hipped roof with terracotta roof tiles. It used to be a Scouts Club House of Monthol Krung Kao (Ayutthaya Administrative Zone). At present, it houses the museum’s storage for ancient objects and art objects, and office of technicians.